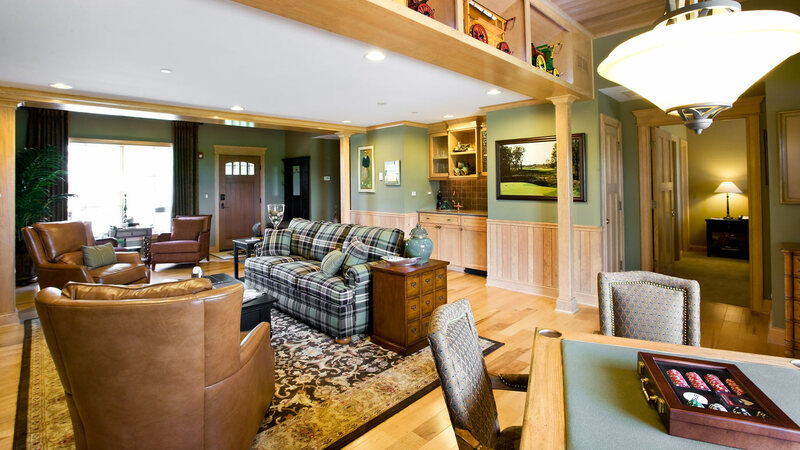 Entrepreneur Jerry Rich commissioned Cordogan Clark to convert and modernize an original horse arena into two and four-bedroom suites for members and guests of the exclusive Rich Harvest Links. 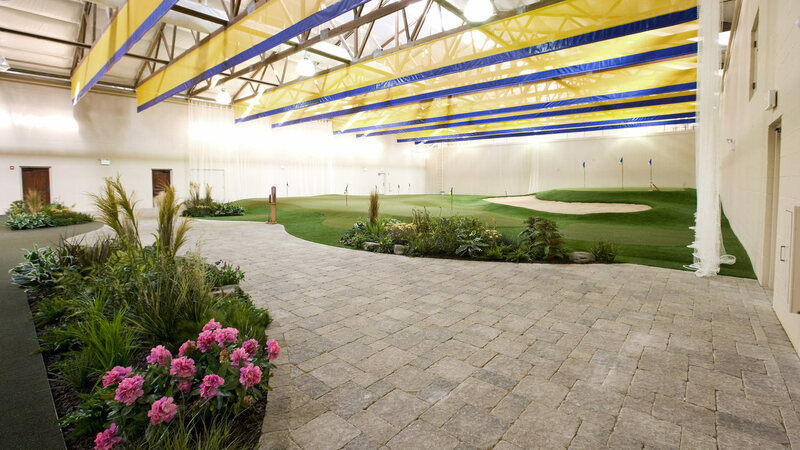 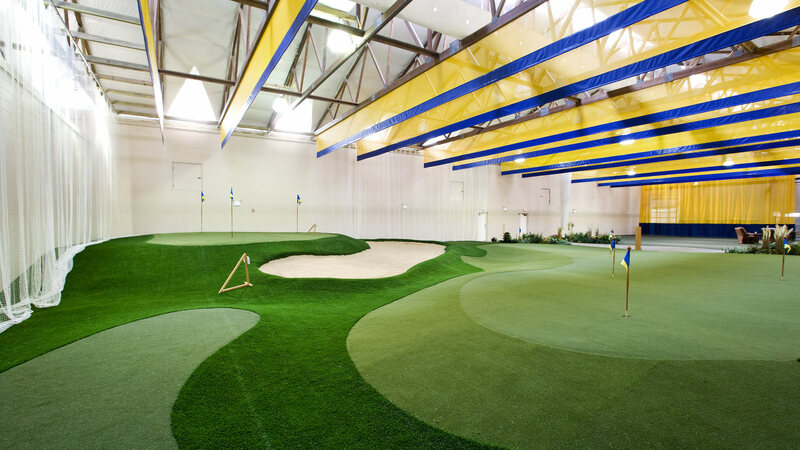 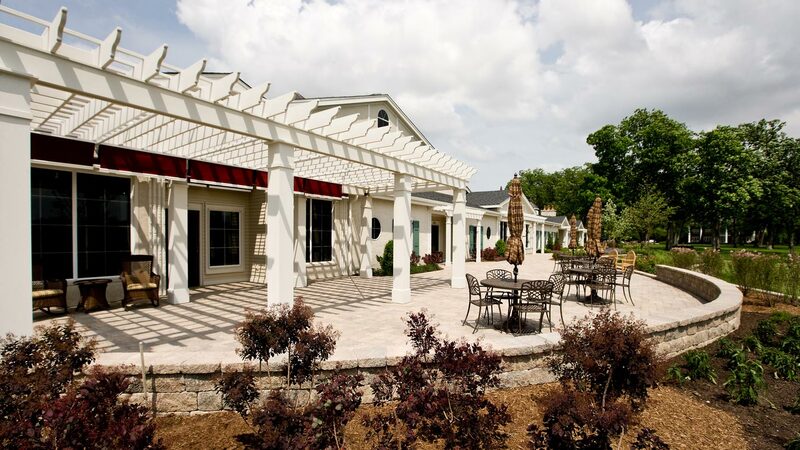 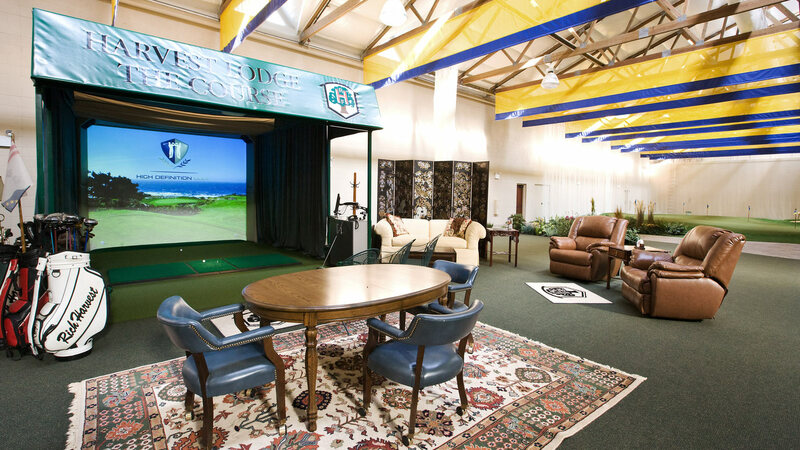 The lodge serves the private membership of this exclusive 18-hole golf course and host to PGA Tour event participants as well as LPGA's 2009 Solheim Cup. 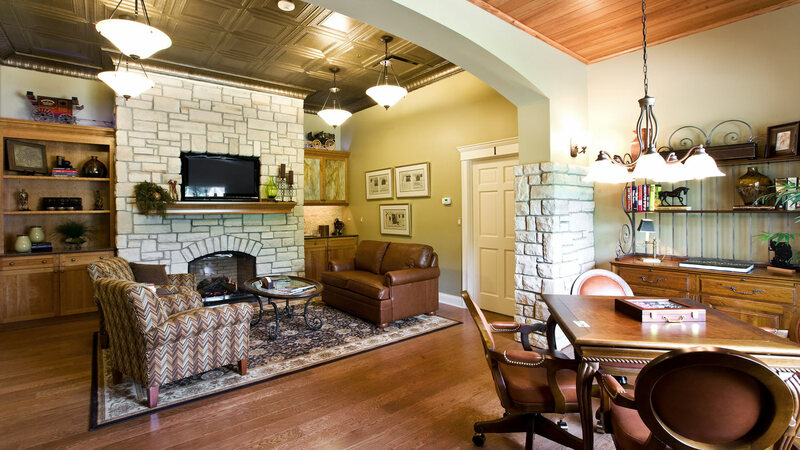 The U shaped stable portion was converted into seven four-bedroom, three two-bedroom, and one one-bedroom suites. 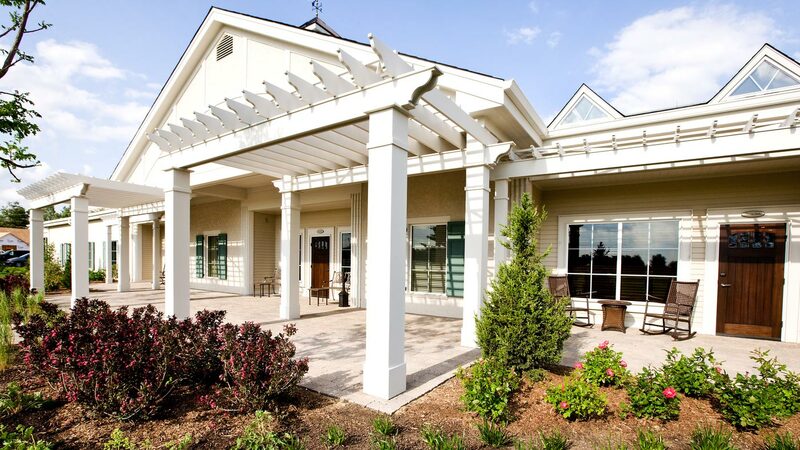 Each suite has multiple views of the grounds and the surrounding golf course. 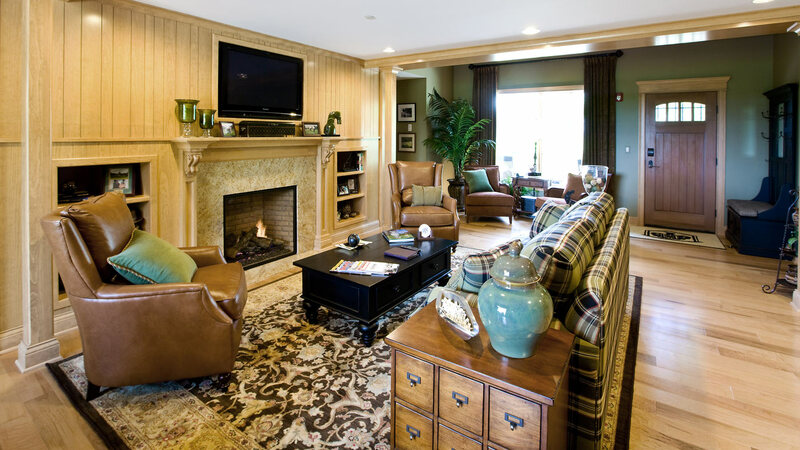 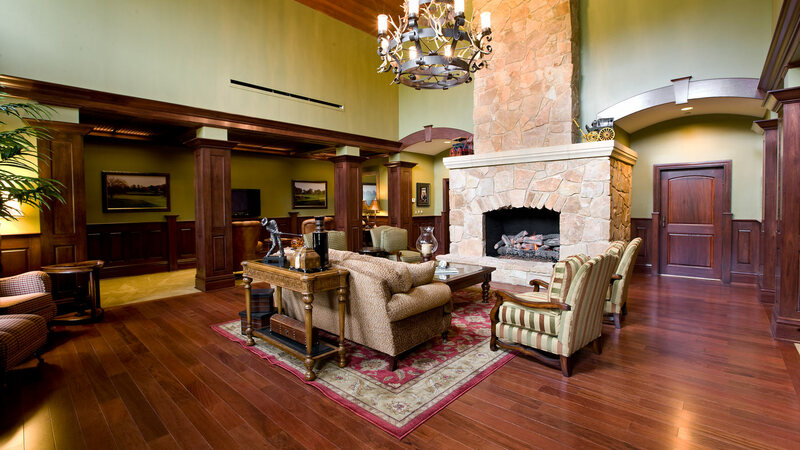 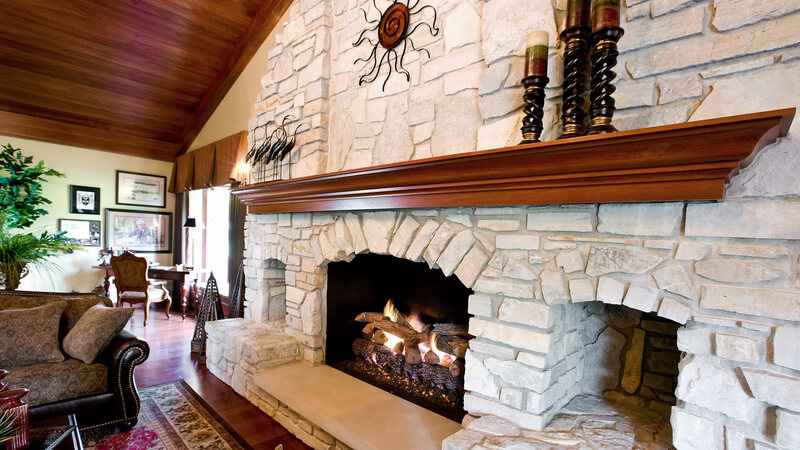 Each of the unique living areas has ample room for relaxing around the gas fireplace and flat screen TVs surrounded by the warmth of earthy materials such as wood flooring, masonry walls, and timber framing. 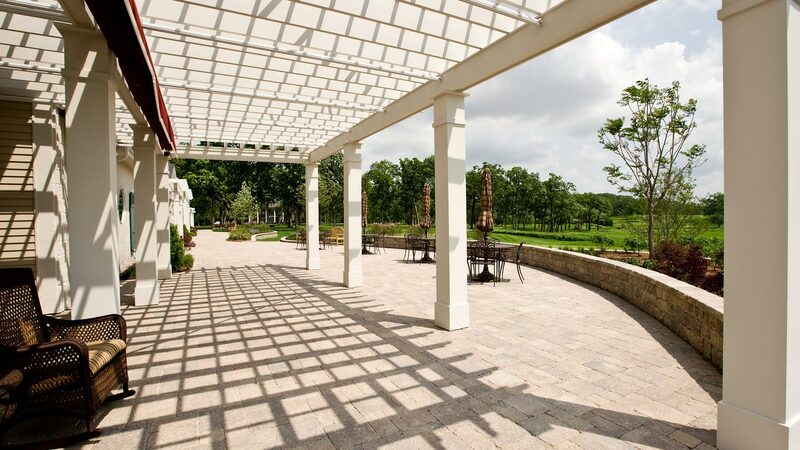 A table for playing cards, or enjoying breakfast is situated in the sitting area with spectacular views of the outdoors. 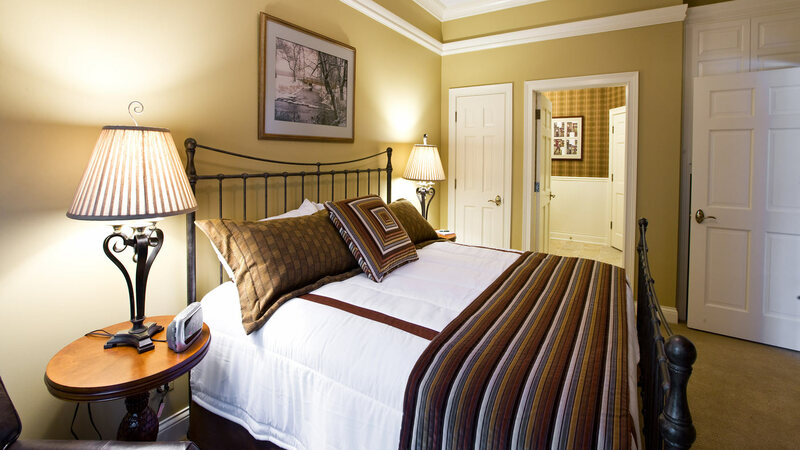 Each room has a king-sized bed and sitting area. 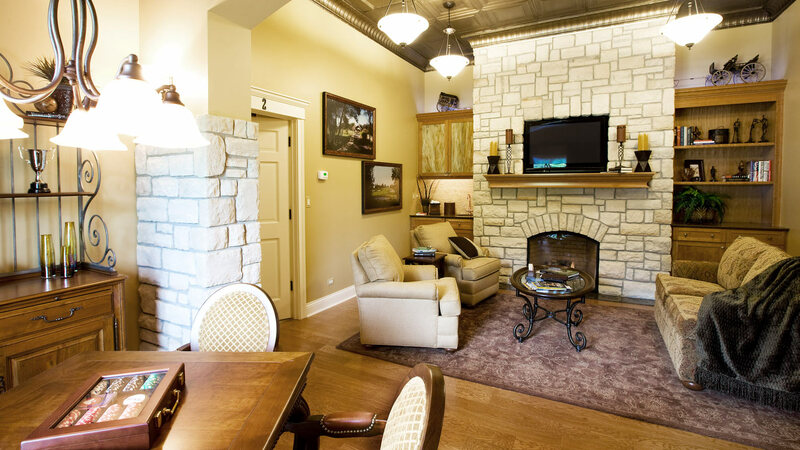 The bathrooms are accompanied by pedestal sinks, large framed mirrors, and oversized tile showers. 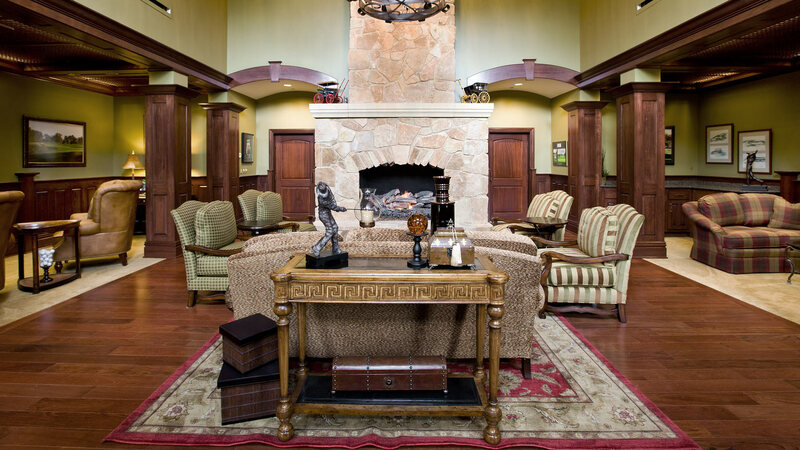 The grand foyer is used as a small gathering space and is the showcase for some of Mr. Rich's sports memorabilia. 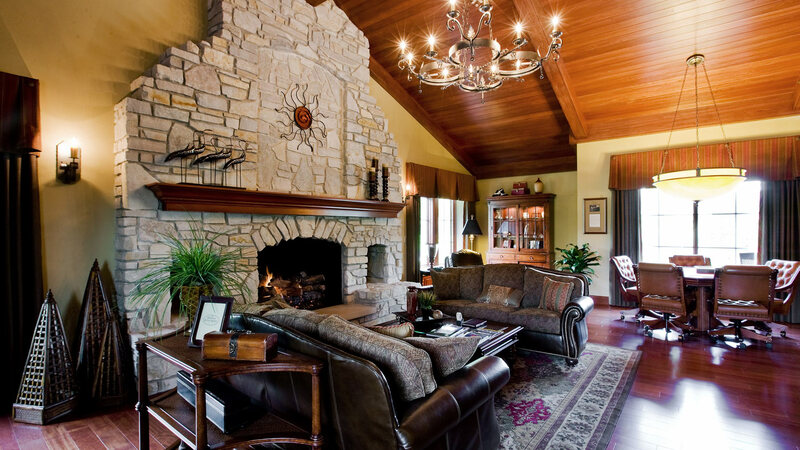 Wood and stone materials are used throughout to emphasize the feeling of a lodge.